For a society to move forward and to be fair, improving democracy is not enough. Yesterday I attended a talk by Max Rashbrooke in Wellington. 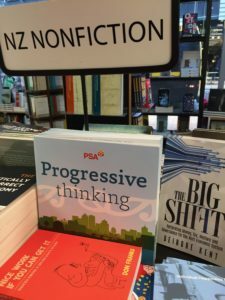 He had put out a new book – Government for the Public Good published by Bridget Williams books and costing above average. The talk was good and the matters he raised in it were important and oh so well articulated. I loved hearing the stories of Citizen Assemblies in Ireland on abortion, Iceland on their constitution, and in Taiwan on Uber and how they worked so well that they solved potential clashes and resulted in legislation that stuck. All good. (Especially as in one case people started to respect politicians more after the long process). He talked about general dissatisfaction with government, the research on the privatisation of prisons, on charter schools and the importance of teaching people to argue for government ownership (not “intervention” as this language implies the market has the right). He talked about the ‘level of taxes’, assuming of course that the main taxes are taxes on income. Better methods of decision making are always interesting and important. But where was the deep thinking on taxing land and other natural monopolies? Absent. This is a man who has written so well on inequality so I understand he believes that to have a functioning society we need only a narrow gap in wealth between the groups in society. So on the train home I turned my attention to what he had missed. To obtain social justice we need a concept of the commons and a mechanism to ensure the commons is shared. The big one is land. Not all people can have the exclusive rights to the same site at the same time. So we need to charge regular rent for monopolising the use of land sites and other parts of the commons or natural monopolies. Charging a rent for monopolising any part of the commons, including natural monopolies like ports and airports is the way to share our commons. Charge rates on land or property value which includes land. So minimal at the moment it should be in the second category. Each site is unique and a natural monopoly. 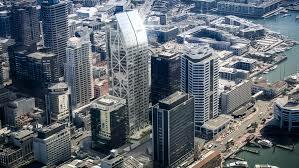 Commercial land in downtown Auckland is most valuable land and owners need to pay full land rent. Currently this is minimal. Rates are not a burden for them. Charge yearly for registering our cars This is effectively a small road user charge. Charge road user charges. Drivers of light diesel vehicles and heavy vehicles pay levies through road user charges. No doubt far too small as it by no means pays for road damage they cause. Fishing licences for freshwater fishing, none needed for sea fishing. Railways in New Zealand had mostly been owned and operated by the Government. Never meant to be profit making business. Privatisation in 1993 failed. Broadcast licences for monopolising a certain bandwidth. Royalties for gas and oil are charged. Water use for irrigation no rent charged. Water rights are on a first come, first served basis and cost nothing. Water use for water bottling. No charges yet. Airports. Most big airports have shares held privately as well as some held by the local council. So rent should be charged proportionately. 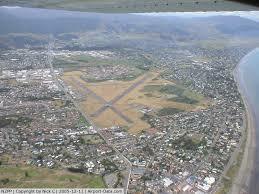 Private airports pay a tiny nominal rent to local government in the form of rates. 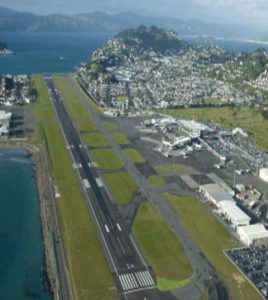 Wellington Airport is two thirds owned by Infratil and one third by Wellington City Council. So Infratil should pay a substantial rent for the monopoly privilege. 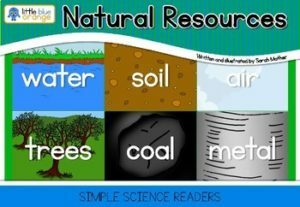 Underground pipes and fibres. Chorus should be charged rent for the privilege of having a monopoly over using land for this purpose. And then there are the rents not paid yet for the monopolising of soil, rivers, lakes, sea, biosphere for dumping waste. This includes all climate change issues and all pollution of waterways and soils. There are two people I know who have done studies on these resource rents and how much they can raise. Karl Fitzgerald for Prosper Australia in The Total Resource Rents of Australia report finds monopoly rents are capable of replacing taxation at all levels of government. Earlier Gary Flomenhoft while a lecturer at the Gund Institute in Vermont, got his students to work on a study to estimate the potential of resource rents on common assets for public revenue and put it together in a report. In both these studies the potential revenue from land rent dwarfs all others. Yes Max democracy is fine but you also need to democratise wealth. Democratising resource use, understanding that rent must be paid for use of the commons is a concept we all need to grasp. There is very little argument for taxing what is good, like work! 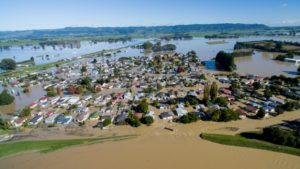 Although about a fifth of the South Island high country is owned by Government and leased out to runholders, this is changing. Since 1992 the Government has allowed the privatisation of leasehold land. Called “tenure review” it involves an unusual deal and the government loses. The runholders because of their input into the farm claim the improvements belong to them. They end up getting part of the farm for a song. No I am wrong – they sometimes make money on the deal by a strange mechanism. And then they flip it on, making millions in the process. The less valuable land is kept for conservation. There is something strange about the land valuation process. So why on earth does the public purse lose? To retire the pastoral rights, the Crown paid runholders $36 million (or $656/hectare). That is ridiculous. It is all explained by Dr Brower in April 2107 here and the Environment Court at that stage made a case for stopping freeholding of land in the McKenzie Basin. The picture above from Stuff shows this week’s protest by Greenpeace about a farm near Twizel where the farmer wants to run 15,000 cows. 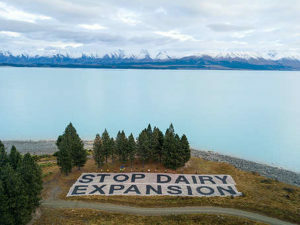 Many local farmers and even Fonterra joined Greenpeace in opposing this dairy conversion. Of course after privatisation the owner can subdivide so by April 2017 what used to be about 120 leaseholds is nearly 4000 parcels of freehold land. The Minister of Lands Hon Eugenie Sage has her work cut out to change this situation. Anthony is a homeless guy who sits near Countdown in Waikanae and often sleeps in the Akatarawas in his tent. 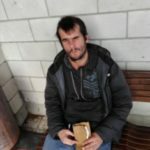 His situation is dire — he has no home, he says, which means his benefit from WINZ has been cut off. So is the gap between the landed and the landless really getting to this sorry state? Fewer homeowners, but some own much more. There are now fewer homeowners as a percentage of the population. But more people own more than one home. 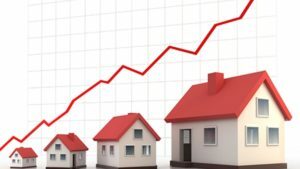 The authors of A Stocktake of New Zealand’s Housing wrote in Feb 2018, “Home ownership rates have fallen to a 60-year low and could fall further. So what is Anthony really owed by society? If we believe all land belongs to everybody, then anyone who monopolises a piece of land should pay a rental to society. This should be divided up amongst central and local government and individuals. The increase in house prices is almost all unearned and belongs to the public. ‘Landowners’ exclude everyone else from benefitting from their piece of land whether it be in Queenstown, Mt Victoria or Masterton. Currently land owners pay only one sort of tax for their land – rates. A typical rates bill would come nowhere near the 5% of the land value. It is more like 1-2%. When I ‘own’ a piece of land in Mt Eden and the government and local government pay for infrastructure around me. This puts up the value of my land. Over time my property may go up by $1million. All the rise has been in land value. If I sell my property I get unearned capital gain that rightly belongs to people like Anthony and to governments. The annual rise in the value of the housing stock between 2012 and 2017 averaged $100 billion. With half going to government, this leaves $50b distributed to 4.4 million New Zealanders. Or $11,300 a year for everyone. This is just from the land rents. This is Anthony’s fundamental right. Just by being alive he should get his share in the land rents. He shouldn’t have to beg at WINZ. Add the rents from minerals, fish, trees, power stations, electromagnetic spectrum and when all added together it should make a respectable basic income. The only qualification for getting it is being born! 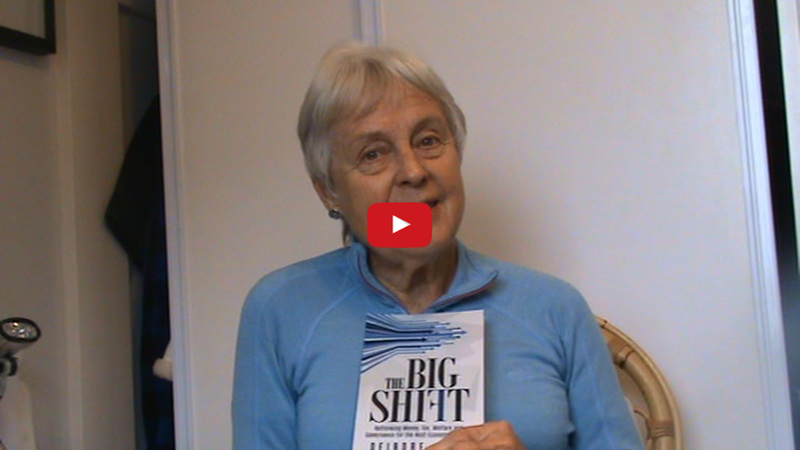 This is the trailer for the video record of the Living Economies Expo, from April 2017. 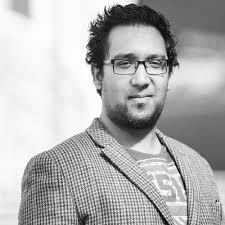 Individual recordings of most of the talks will be through the post-production process soon, so those who were unable to attend can still receive the content. Yes they ordered five and when I arrived there were only three there. Here it is. 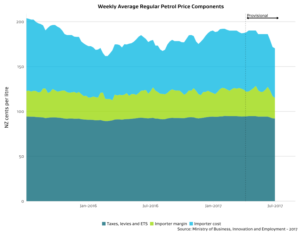 Climate change groups were noticeably absent from the recent public discussion about the rising price of petrol. Nobody was saying publicly that if we are to turn emissions around, we have to make it more expensive to drive. Not the Greens, not Generation Zero or 350.0rg. Nobody. It had been a unanimous outcry of pain against high petrol prices. Why? Surely lower petrol prices would clog up our roads, get people off public transport and adversely impact our emissions? Here was a discussion about how the margins had increased in Wellington and the South Island yet nobody had said we should drive less so use petrol and reduce our carbon footprint. 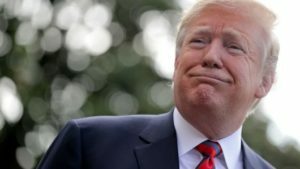 Nobody came out with a comment that the oil companies have a growing debt burden because it is getting more and more uneconomic to get oil out of the ground, so it is not surprising. They have been binging on debt and are struggling to pay dividends and find new barrels. The big four doubled their net debt between 2014-2016. 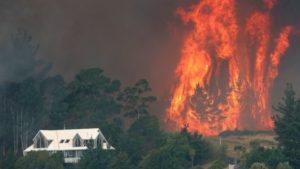 The public debate was started by Judith Collins the Minister of Energy and Resources after a report came out, and Labour’s Stuart Nash praised her for ordering the report. Labour’s Stuart Nash praised her for ordering the report. So how important is petrol to us? The average Kiwi family spends $42.30 a week on petrol – only $8 less than their average weekly spend on meat, fruit and veggies. That is mighty close. It won’t take much for petrol to be a bigger part of the budget than food. And to complicate it, when petrol costs rise food costs mostly get passed on to us. But then I thought of the implications. The gross profit margin on fuel at the pump had doubled to about 30 cents a litre in Wellington and the South Island over the past four years and gone up by 5c a litre elsewhere. It has something to do with Gull only selling petrol north of Levin, but it is more than that. The petrol retailers Z Energy, BP, Mobil, Caltex and Gull all defended their positions. Maybe the companies are suffering from their growing debt burden so increasing their margins are the only way to stay solvent. Not all of us can get a handle on the huge complexity of it all and I am no exception. But I know Tverberg believes the price of oil will not rise beyond about $50 a barrel because consumers can’t afford it. Environmental commentators are faced with several problems. First they are unlikely to have an understanding of the complexity of the peak oil problem and secondly because they know that saying petrol prices should rise (through increased taxes) will be unpopular. The petrol price components vary. What should happen of course for climate change purposes is for the Government to increase taxes on petrol, diesel etc. The fact that the oil companies have been the villain has excused the government for inaction. Now we can cry together that the oil companies are a greedy, conniving cartel. I am not sure that does much to reverse climate change trends. Back in 2015 the IMF issued a warning that permanently low fossil fuels are choking off investment in renewable sources of energy and hindering the fight against climate change. A year later after a big study, the World Bank chimed in.